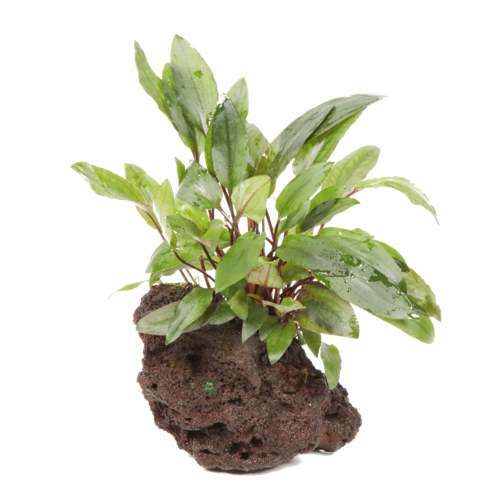 You’ve gotta love this little Cryptocoryne on lava rock – perfect in every way. It’s dainty at only 7cm square so ideal for smaller tanks. The great thing about plants on decor from Tropica is that they’re well established which means they have cared for then for months so when you receive it, it looks perfect. Roots attached to the rock naturally. The other benefit to this plant is very simple to grow (suitable for beginners and up) and you can move it about if you decide where you place it first isn’t quite right. You can find our other plants grown on wood or rock by clicking here. Would you like us to stock Tropica plants again? It would be great to hear your opinion if you would like Aqua Essentials to stock their plants again. As you well know Tropica are a premium product and attached to that is a premium price tag. We love to sell quality but would you pay more for them? We currently sell Aquafleur, and have no intentions of stopping their range, but we are certainly interested in your thoughts on the matter.